Caregiver Support Groups give families the opportunity for emotional support, practical caregiving techniques, and education. Winter Growth's licensed social workers and guest speakers provide information related to disease progression, symptoms, treatments, and resources. Creative problem solving among caregivers themselves helps to ease the way for all. Sharing the pain, frustration and, often, guilt associated with being a caregiver is critical for mental health. A healthy dose of laughter at some of the situations caregivers experience is also healing to the spirits of those who have taken on an enormous task. Motivated by love, we know that family caregivers face a daily roller coaster of sadness and joy as they reach out to their loved one. 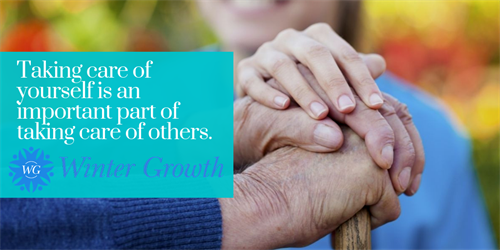 Winter Growth, in turn, reaches out to caregivers to support them in their mission.